Overview: A general introduction to herbal medicine and self-healing passing through the traditions of ancestral medicine and ethnobotany. 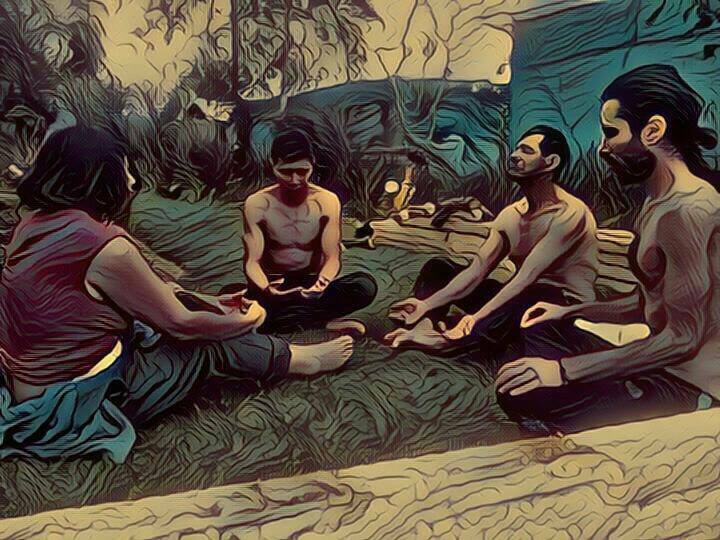 The second part of the program is focused on Shamanic techniques, Sound healing and herbal preparations with practical workshops and activities. The aim of the internship is to transmit the knowledge and right intentions for preparing the individual for further inner work with the guidance of plants and sounds accordingly to the indigenous rituals and traditions of herbalism. A unique opportunity to embrace the work with plants with playfulness and wisdom. Program: Morning meditation and Prana Yama are held every day for about one hour, followed by physical activity (qi-gong, yoga flow, African dance etc), theoretical lessons and practical experience, forest trips for collecting plants, Mayan neurosacral massage course, cacao ceremonies (once per week), rituals and creative arts. Theoretical classes (44 h) are normally held in the morning while the practical work (36 h) in the afternoon. Food: mainly vegetarian, fermented and delicious home-made food. Accommodation: nice, private house with shared room (max. 3 people) and en-suite bathroom. Facilities: ceremonial and meditation space (a traditional Maloka), access to the river, forest paths, gardens, a lab for processing plants, retreat space. Fees do not include: transfers and airline tickets. Spare time: interns have one day off per week where they can go to town and use internet or visit the sorroundings (transfers are managed independently by interns). Extension of internship: possible after consultation. A 7 day program can be added to deepen the knowledge on Alchemy and Master Plants and experience a more practical intensive course or a retreat with ceremonies.